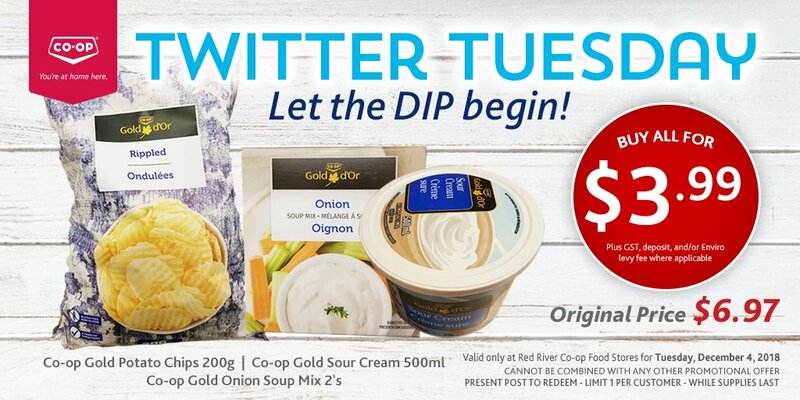 Time for a deal from Red River Coop – today’s deal is a snacky one. For $4 you get chips, sour cream and onion soup mix to make dip. Available today only – one per person at Red River Coop foodstores.